FURUNO FM-4800A Marine VHF Radio Telephone 5 FEATURES IN 1 DEVICE! DSC Class-D VHF, AIS receiver, GPS receiver, megaphone and fog horn with 8 automatically generated signals. Read more.. WHEN IS A VHF RADIO TELEPHONE REQUIRED? With a VHF Radio Telephone you can consult with the lock master, harbor master and traffic posts and you can easily connect with other ships via the VHF Radio Telephone. The use of the VHFRadio Telephone increases your safety, especially on waterways where professional and pleasure cruising eachother meet. For pleasure craft with a length of more than 7 meters, a VHF radio is mandatory in some European countries. Also when you have a radar on board, a VHF Radio Telephone is mandatory. 30 W Megaphone and fog horn with automatically generated signals and replayfunction. The FM-4800A can exchange all available data such as position and AIS targets via NMEA-0183 and NMEA-2000 networks. The solid state construction is water-resistant according to IP-67. Optionally, an additional handset and speaker are available for operation from a second position, for example the steering position in the cockpit. ATIS and MMSI number are easy to program yourself. 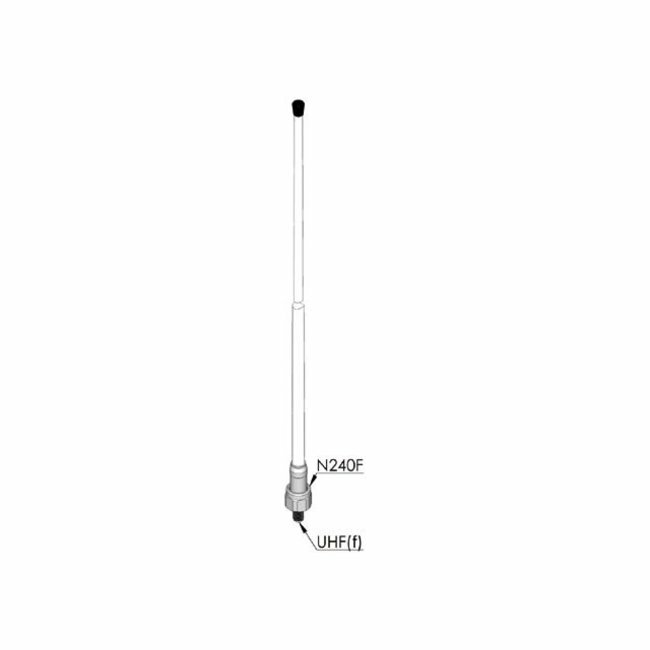 The antenna is a very important part of the VHF Radio Telephone. Yachts and motor boats often use a stainless steel antenna, which is stable and does not immediately break down when you bumpts to something under a bridge. Do you have a sailboat? Then a fiber antenna is the best choice. 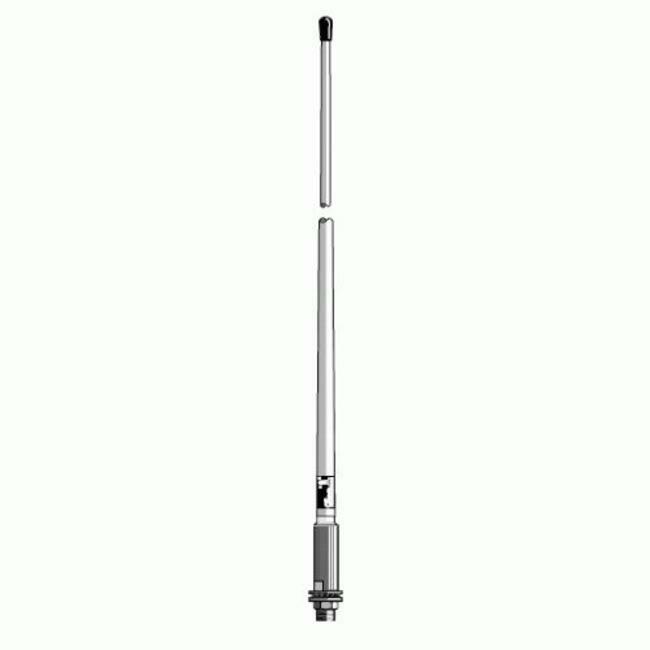 View our range of Antennas here.